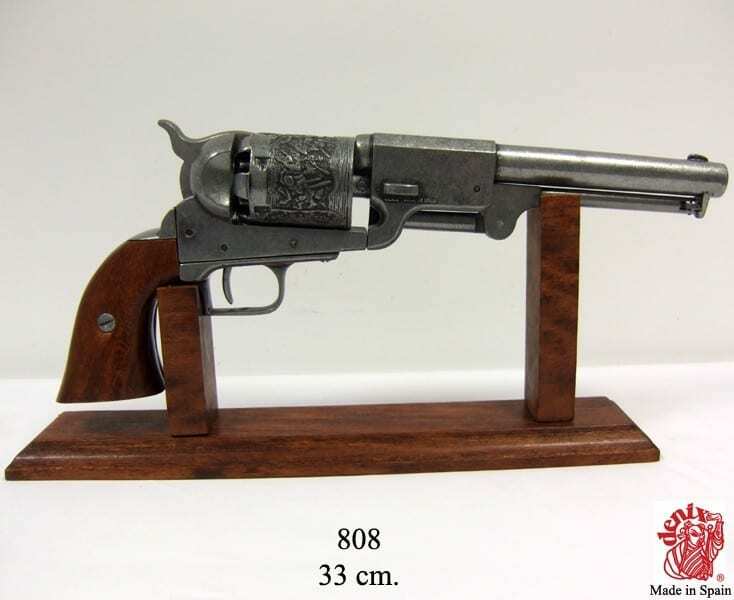 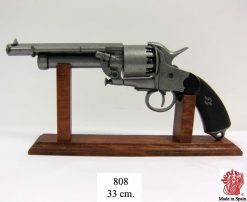 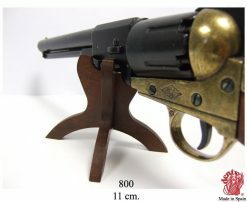 Wooden Desktop Revolver Stand, 33cm. 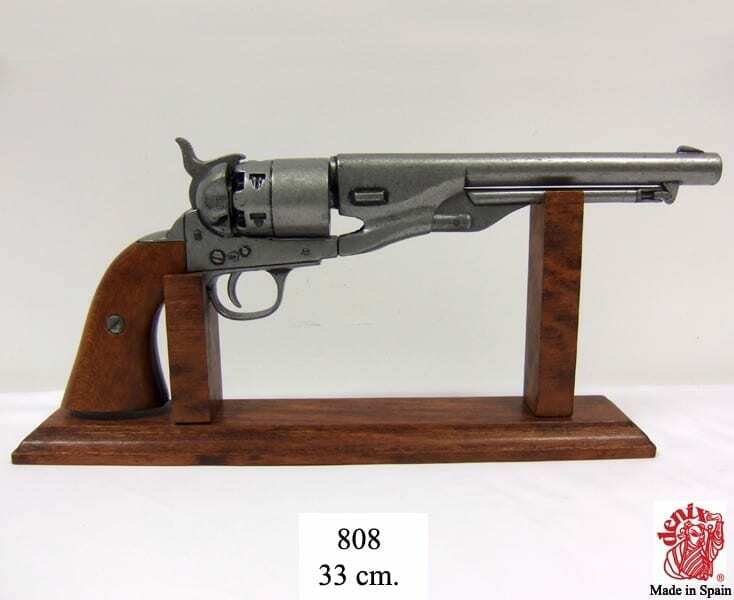 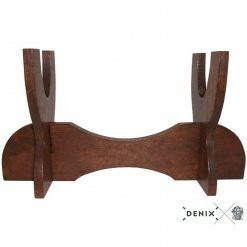 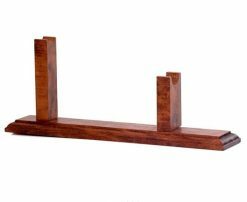 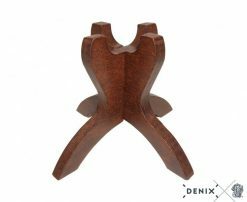 Display your revolver collection with this wooden desktop stand from Denix. 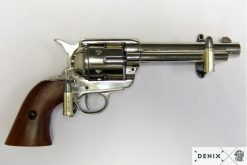 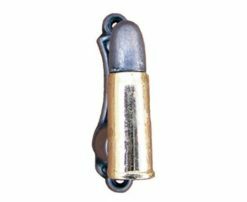 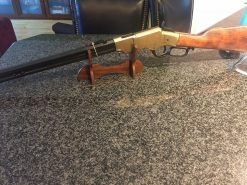 It is suitable for revolvers with barrels greater than 4.5 inches. The base is 33 cm long and 6.5cm wide. The gap between the two posts is 17cm. 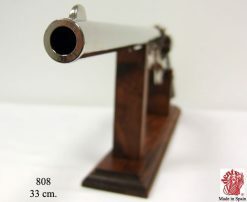 The shorter post measures 6cm high and the taller one 10.5cm high.